What are podcasts? Podcasts are audio files that can be downloaded to a computer or mobile device. (Despite the name, you don’t need an iPod to listen!) They are often produced as series to which listeners can subscribe to automatically download new episodes. Who listens to podcasts? Podcasts are made on a variety of topics for all ages. Why listen to podcasts? Podcasts are fun audio on-the-go! Download and listen anytime you like. Plus, just like listening to audiobooks or to someone else reading aloud, listening to podcasts counts toward your summer reading time! How can I get started with podcasts? 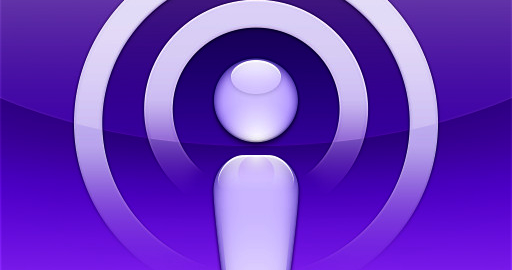 Podcasts can be downloaded directly from podcast websites, podcasts apps on mobile devices, or iTunes. You can subscribe to specific podcasts to have new episodes download to your device automatically when they’re available. Click here for a printable brochure of the list below! Activated Stories – Comedic folktales from around the world. The Alien Adventures of Finn Caspian – An interplanetary adventure in 15- to 20- minute episodes. Brains On! – Science for curious kids (and adults!). But Why? – Kids ask the questions and this podcast answers them. Dream Big – Eva and her mom interview inspiring people living their dreams. Eleanor Amplified – Recommended for ages 8 – 12, this podcast follows world-famous reporter Eleanor as she seeks The Big Story. Kids Like You and Me – Real kids talk about how it feels to be excluded because of differences–or accepted in spite of them. Mindful Frog Adventures – An Australian green tree frog takes children on mindful journeys in their imaginations. The Radio Adventures of Dr. Floyd – Adventures of The World’s Most Brilliant Scientist, “old time radio”-style. Saturday Morning Theater – Family-friendly stories in the style of “old time radio” dramas. Short & Curly – A fast-paced fun-filled ethics podcast for kids and their parents that asks those tough (“curly”) questions. Sesame Street – Celebrate sunny days with all of your favorite Muppets with new episodes every Monday! Stories Podcast – Stories for children of all ages. Includes retellings of old tales and original works. Stories Alive – Audio theater for all ages. Features stories written by elementary students and performed by actors. Storynory – Retellings of classic tales and new, original stories for children. Story Pirates – Professional actors, comedians, and musicians turn stories written by kids into sketch comedy and musical theater. Story Time (Bedtime FM) – Stories for anytime, not just bedtime! Tumble Science – A family podcast exploring science and discovery. The Unexplainable Disappearance of Mars Patel – Recommended for ages 8 – 12, this series is a mystery performed by middle-grade kids. Wow in the World – A weekly show from NPR for elementary-age kids, focusing on science, technology, and new discoveries. To find even more podcasts for kids, check out the following websites. Please note that sources often group “kids and family” podcasts together, meaning some podcasts listed will be aimed at caregivers, rather than children, as their audience. There are some great parenting podcasts available for grown-ups to listen to (without the kiddos)!